Oh Shanis. This girl is a champion through and through. I would say majority of you reading this, if not all, have already heard of Shanice – she’s been everywhere and wins EVERYTHING. I first really got to know her when she came to UBC... and it took about 42 seconds for us to become really good friends. She was a year behind me so I got to play with this girl for 4 years and we are still playing together on the National Team today. We are actually roomies here in Slovenia, so that makes things pretty fun. We've been talking in accents, rhymes, or Disney songs 85% of the time. We’ve just been hanging out, reading, smuggling food, and enjoying each other’s company before we take off to separate professional teams. I'll definitely cry my eyes out saying bye. 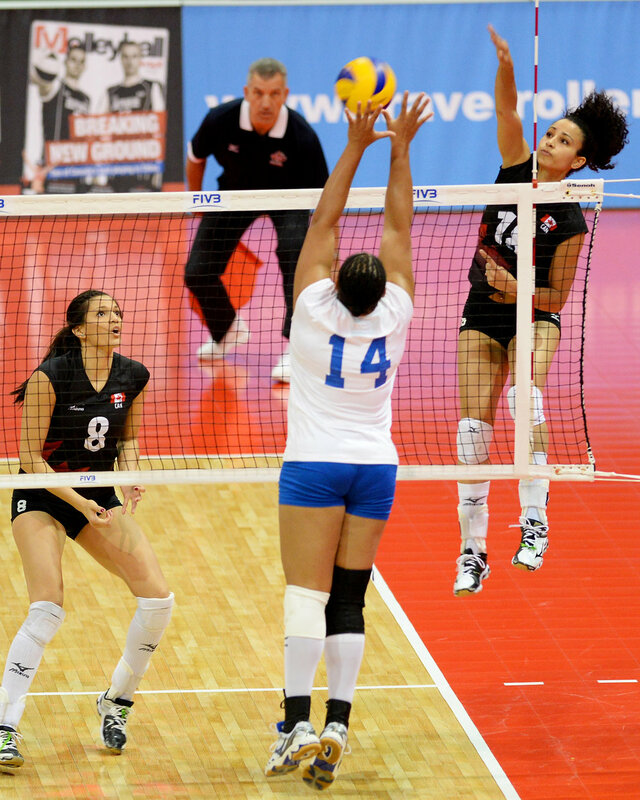 Taking a few steps back to UBC, as a rookie Shanice was already defined as an exceptional volleyball player. She had played years of beach volleyball before at the international level so her ball control was better than most university players. Her and Dannie Richards won U18 beach nationals and went to U19 Youth World Championships for beach (held in Poland) before they both came to UBC. She said that winning beach nationals was really special to share it with someone she's so close with and who she shared so many volleyball experiences with (they went through their 5 years at UBC together). Shanice also won 5 National Championships in her 5 years playing at UBC and continued the winning streak for the 6th championship in a row. 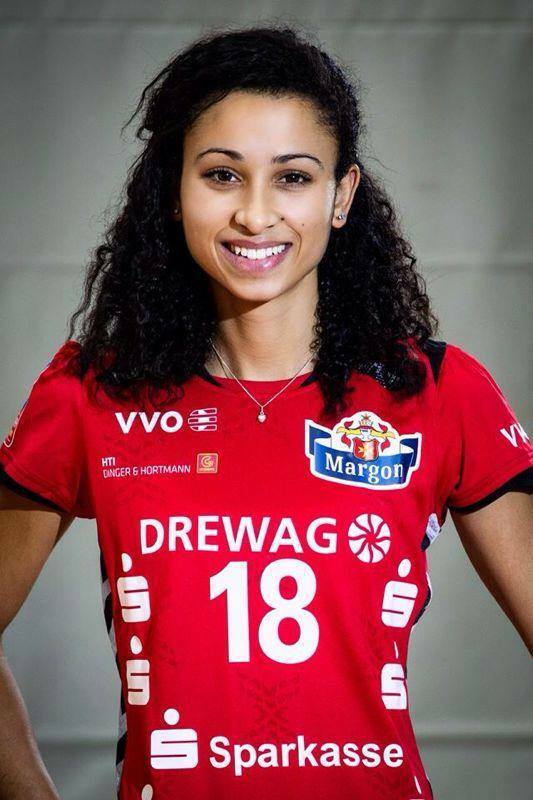 Below is a very long list of her many presitgious awards; she was always recognized for being the exceptional player she is within the CIS and as a top female athlete within Canada. 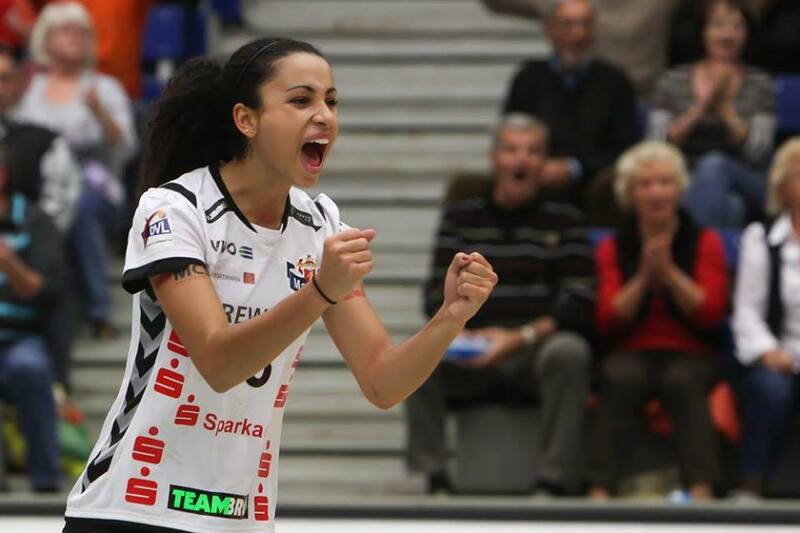 Her first professional stint this past year was with one of the top teams in the German League (Dresden) where they captured the league title [watch her score the final point here]. She'll be heading back to the same club this coming season in the hopes of continuing her success. Days after Dresden won the Bundesliga this year, she hopped on a plane back to Canada and met our National Team in Ontario for World Championship Qualifiers. Still rearing to go, she’s been a steady constant on our team throughout the entire summer and throughout all of our matches. Shanissssss is a really funny person. As you get to know her better it’s not totally what you expect. At first she’s fairly reserved, quiet, and is just a really sweet girl (that part doesn’t change!) but once you get through her exterior, her side comments and jokes are really flipping funny. We’re always joking about and I’m usually in fits of giggles when I’m around her. Shan loves her family so much – she goes home whenever she has the chance (which isn’t very often), and I have to throw a Tracey shout-out here – because Shanis’ love for her mama is just so so so so great and I absolutely love to see that!! She really takes care of the people she’s closest to. I have loved being able to play along side Shanice for so many years now and it’s especially exciting knowing that we have so many more years together. It worked out quite well at UBC when Douglas would give me the hardest of hard-times for eveeerrryyyythinggggg and call me out for anyyythinggggg – so when we were seniors, Rayel and I would try to get Shanice to ask for things because he could never say no to her. As mentioned before, Shanice is such a constant player to have on the court. Her ball control skills are so great and yet she is still such a force to be reckoned with front row. She has the ability to make the smartest shots at the most crucial times. I am totally at ease passing with her and know that if we make an error, we can both help each other out to bounce back right away. I know that a lot of younger players have learned so much from playing with her or against her, or anyone that has had the privilege of watching her play. Her quiet confidence on the court can stabilize any group and can get things going when we need her. I’m excited to see where this sport will take her – indoor or beach, this girl is going places. Pre-game routine is to play really loud music in order to pump herself up. She always has the latest tunes uploaded and knows every top 40 song before most of us have even come across it. We nicknamed her hair “Jimmy” in her first year at UBC. & then started referring to him/her/it as a real person with feelings. It's just so wonderful. Favourite way to spend a day off: "Napping, shopping, doing art of some sort. Or if I'm home, just spending time with family." Her favourite place she's traveled to so far has been Paris at Christmas time. Shanis has 2 sibblings; an older sister, Tanisha (who, at our games in Ontario this summer, was mistaken for Christina Agulara by one of our teammates) as well as a younger brother, Jordan. Tanisha is an unreal makeup artist and I encourage people to check out her new website (www.nickeilgenesis.com/). Her baby bro Jordan just graduated high school and is planning to go back to school to become a mechanic. Shan's awesome mama lives in Victoria and her radical pops lives in Toronto. Great fam-jam. She is ridiculously good at puzzles. Like… crazy good. Dana has informed me that while she is busy sorting out which pieces are corners and which are not, Shanice has already solved 1/4 of a 1,000-piece puzzle. Dana is still dumb-founded at her skills. A few of us like spewing out random lyrics and words – she’s definitely one of the best to make up songs with. She's been to 2 FISU Games: 2011 and 2013 where she was the flag-bearer. Super talented artist… try to steal her sketchbook next time you’re around her! And if you're really nice, perhaps she'll paint you a beautiful canvass. Smile sweetly. Her stuffed Simba comes on her major world travels. She’s allergic to her cat, Jazz. Shanice has 3 tattoos: “perseverance”, “my strength comes from the ones I love” in Arabic, and her mama’s birthday in roman numerals. She’s an ice-cream and sushi monster. Her and Lisa lived together this summer and fueled each other’s love of ice-cream. Mmmmmm Marble Slab. When asked later what her favourite food is she replied with "pretty much anything considered unhealthy". Pizza, chocolate things, bakery items, and sushi to name a few. Lucky for her, you can't tell! A few words to describe Shanice as a player are passionate, consistent, and “baller”. Reese would also (I'm sure) make me add in "TL" --> "thug life". She can rap/sing the entire Nicki Minaj song “Super Bass”. I just really love Shanis. That's all.